Daniel Bryan has unveiled a new WWE Championship belt. 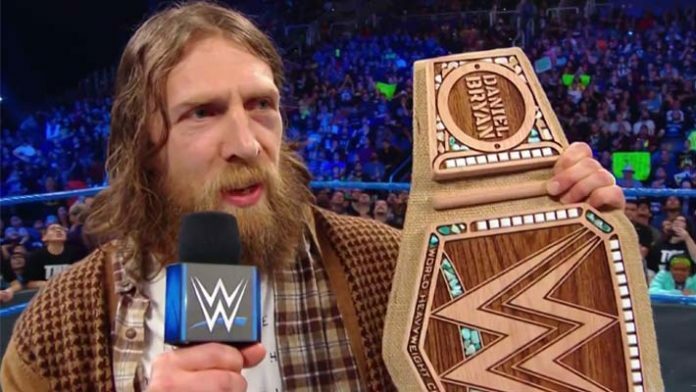 On Tuesday’s edition of SmackDown Live, Bryan came out with Erick Rowan to gloat about his successful title defense against AJ Styles at the Royal Rumble. Bryan said the WWE Championship belt is a symbol of excellence, but it is also a symbol of excess. He called the WWE title gaudy and said it’s made from cheap labor and bound to the skin of a cow whose life was taken from her. Bryan named that cow Daisy. Daisy had the ability to feel immense joy and also the ability to feel insufferable pain. Daisy gave her life for a symbol that he stands against. Bryan dumped the WWE Championship belt in the trash. When he became WWE Champion, Bryan vowed to change the world. To do so, he said we need new symbols. He then revealed a new title belt made from from 100% sustainable organic hemp and the oak from a tree that fell naturally. 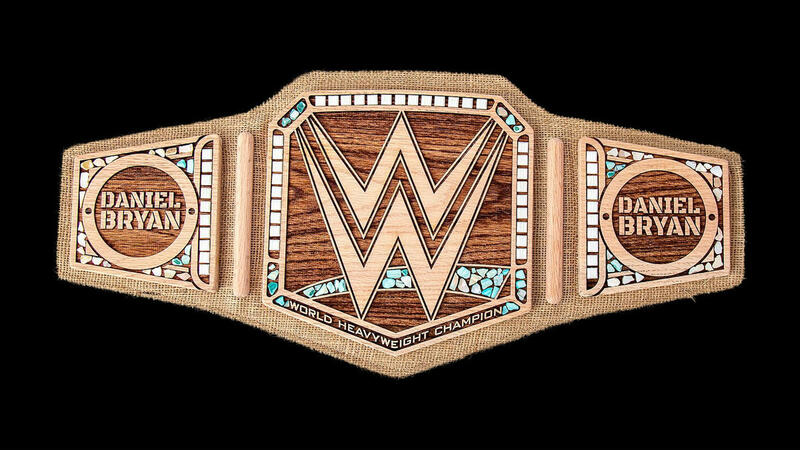 Bryan declared the hemp WWE Championship the new symbol of excellence. After Bryan unveiled the new championship AJ Styles, Samoa Joe, Mustafa Ali, Jeff Hardy and Randy Orton hit the ring, they began brawling until Triple H was shown on the big screen. Triple H announced that Daniel Bryan will defend the WWE Championship against against all 5 men inside the Elimination Chamber. WWE’s upcoming Elimination Chamber pay-per-view takes place Sunday, February 17th.